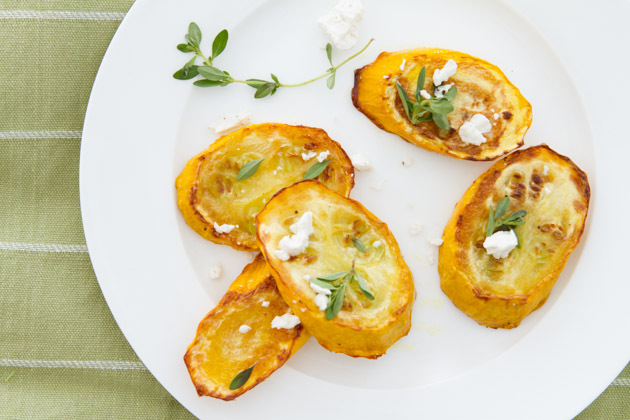 Spread squash rounds onto an unlined, non-stick cookie sheet. Drizzle with oil and sprinkle with salt and pepper. Roast in preheated oven for 20 minutes, rotating halfway through. Remove from the oven and place on a serving plate. 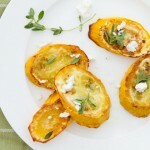 Sprinkle with fresh thyme and goat cheese.